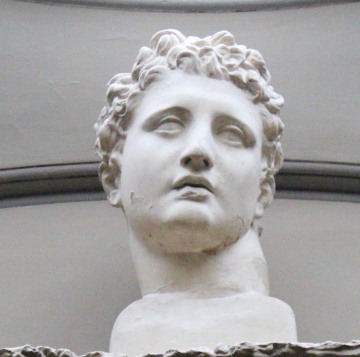 The original from which this cast was taken has not been identified and so it is not known whether it is from a bust or a figure. 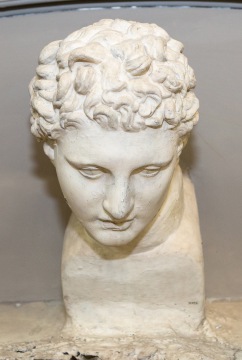 The angle of the head and the fact that the neck is just placed on a simple square base seems to indicate that the original was part of a full-size figure. 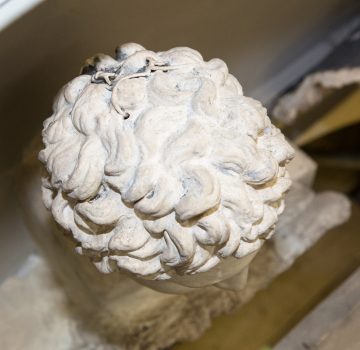 This head is displayed high up in the Dome Area at the Museum and is difficult to photograph well. Two of the images with this catalogue entry were taken from scaffolding and one shows the ingenious way in whcih wire was twisted and threaded through holes in the top of the head to create a secure fixing.